This detached house in Adlington has a tented roof. We used the south facing rear roof and the east facing side roof. 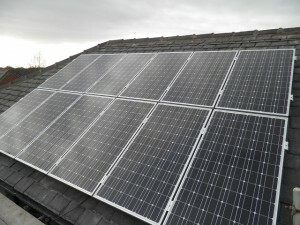 We installed 14 Seraphim 265W all black monocrystalline solar panels. 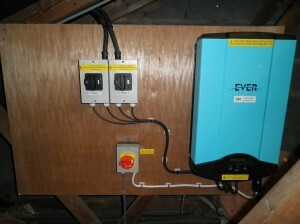 The yield projection for this system is 2870kWh per year. 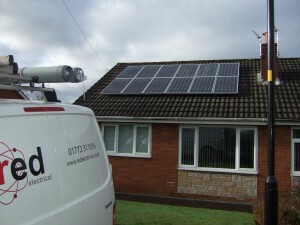 This detached house in Adlington has a roof that faces 23° east of south. There was a soil vent in the roof so we put an air admittance valve inside the roof space to allow us more area for the solar panels. 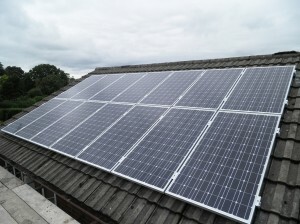 We then installed 14 CSUN 200W monocrystalline solar panels. 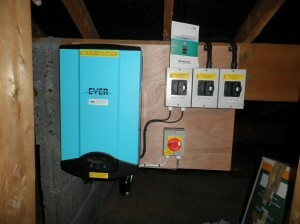 The yield projection for this system is 2390kWh per year. This semi detached bungalow in Chorley has a south facing roof. 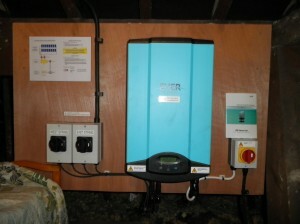 The yield projection for this system is 2525kWh per year. 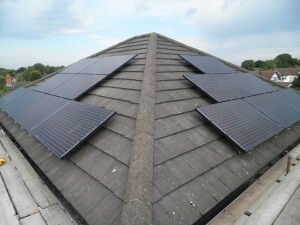 This semi detached house in Chorley has a south facing roof. 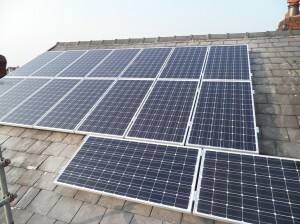 We installed 16 CSUN 200W monocrystalline solar panels with an Eversolar TL3200 inverter. 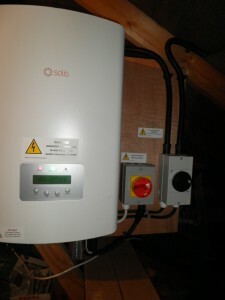 The yield projection for this system is 2705kWh per year. 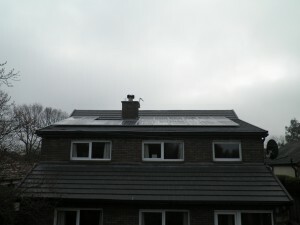 This semi detached house in Chorley has an east facing roof. 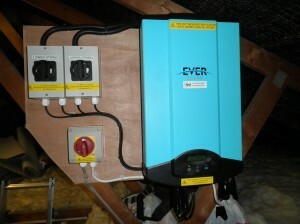 We installed 12 ET Solar 185W monocrystalline solar panels with an Eversolar TL2000 inverter. 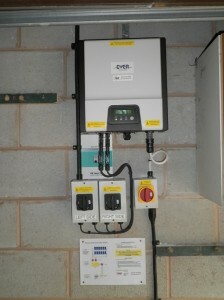 The yield projection for this system is 1596kWh per year. 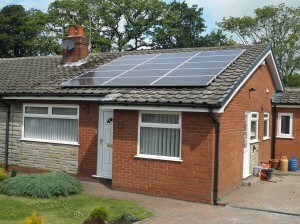 This detached bungalow in Chorley has a south facing roof. 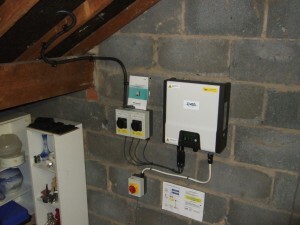 The yield projection for this system is 3548kWh per year. This detached garage in Chorley has a south west facing roof. 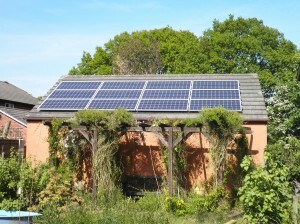 The yield projection for this system is 2003kWh per year. 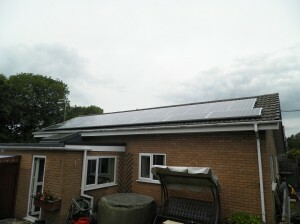 This semi detached house in Chorley has a south east facing roof. This detached house in Heath Charnock has a west facing roof. 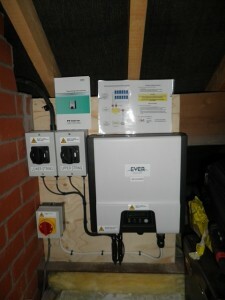 We installed 19 CSUN 200W monocrystalline solar panels with two inverters, and Eversolar TL2000 and a TL1500. The yield projection for this system is 2708kWh per year.